I have tried many juicers, and can says hands down that as far as high end juicers for consumers, the Omega J8008 is the best cold press juicer on the market. It’s a bit expensive, but still in most consumers price range. I recommend cold press juicers (also known as masticating) over centrifugal juicers for a couple reasons. A major downside of centrifugal juicers is that they extract juice using a fast spinning metal blade that spins along a mesh filter. The fast spinning blade produces a lot of heat, which can oxidize and denature key enzymes and nutrients. The other big reason I prefer cold press juicers is because they are much quieter. 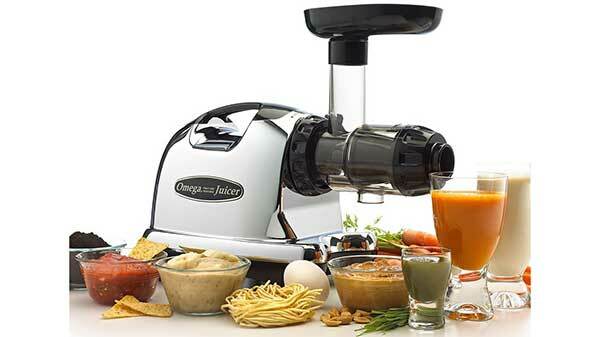 As far as high end consumer juicers go, the Omega J8006 is the best on the market. Benefits of a cold press masticating juicers, over a centrifuge. Less heat production, preventing key nutrients and enzyme damage. Centrifuge juicers are popular because they’re usually less expensive. They’re also faster for juicing large amounts of fruits and vegetables at a time. They’re okay for some applications. For example, if you’re just using the juice for cooking or baking, a centrifuge juicer would be just fine. But if you’re looking to get the most out of your fruits and vegetables it’s probably worth investing in a cold press juicer. I use my Omega J8008 at least once a week. The thing is beast. If you’re looking for a high-quality juicer that preserves nutrients and maximizes juice extraction, the J8008 is the way to go. 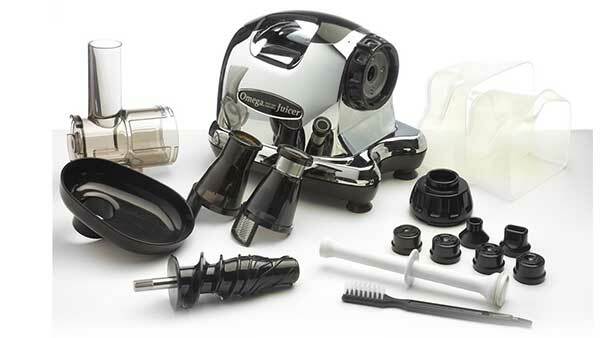 It has a dual stage juice processing system that leaves very little behind. It also has the nutrition center to make natural peanut butter or other butters. The J8008 can grind coffee, mince herbs, and more. A high end juicer is a great gift idea for mom or anyone that is health conscious. If you have questions, comments, or want to share what juicer you think is the best on the market, feel free to leave them below.